November 4, 2013 Comments Off on What do pianists do when they aren’t practicing? 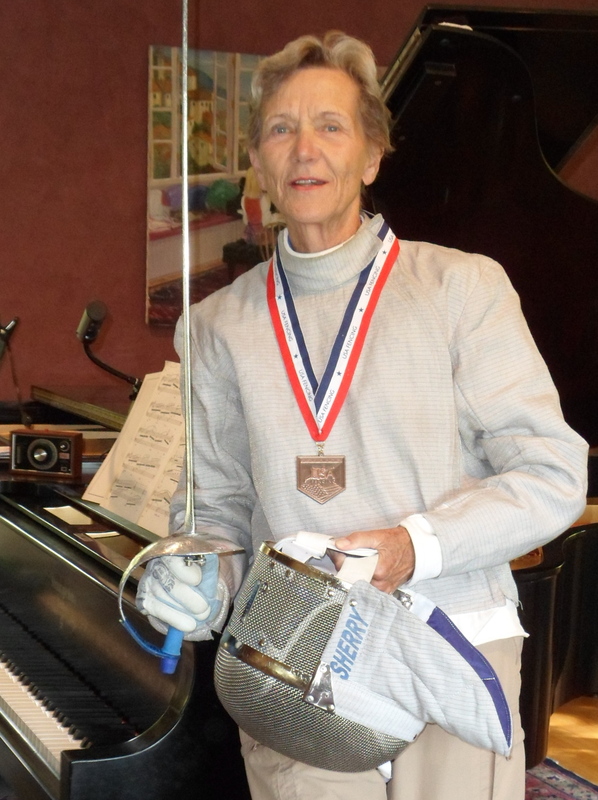 About the same time she started taking piano lessons from me, Sherry Green took up fencing. 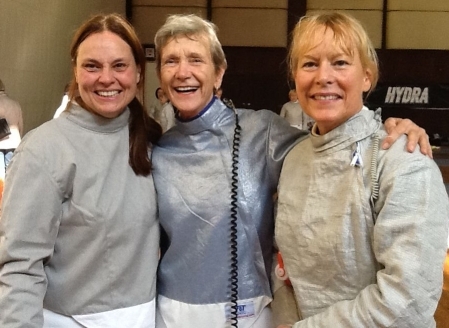 This October she was a member of the USA Veterans team and fenced in the World Championships in Varna, Bulgaria. The team took the gold. The USA Veterans’ Team, after their win. This is the fourth time she has been a member of the USA Veterans team. In 2005 she came in fifth in the World Championships. In 2006 she was the top-ranked female sabre fencer in the 60+ category. In 2007, she was on the USA team that went to Sydney, Australia for the World Championships but was unable to compete. The night before the first match, while in line outside the famous Sidney Opera House, she tripped on a messed-up bit of sidewalk and broke her knee. Mad doesn’t even begin to describe her state of mind, as she had to forgo not just the fencing championships, but the opera as well. You are currently reading What do pianists do when they aren’t practicing? at Piano Connections: The Studio of Megan Hughes. Comments: Comments Off on What do pianists do when they aren’t practicing?